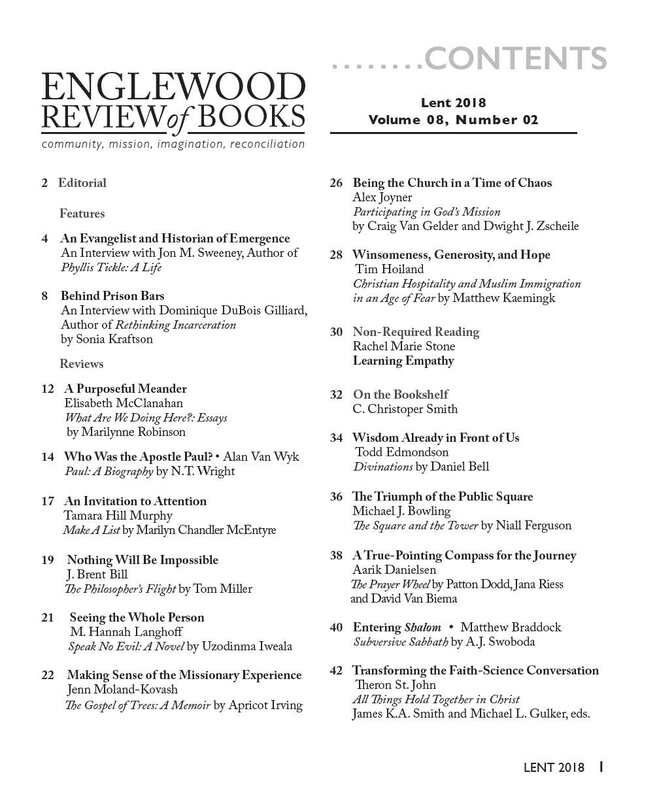 Featuring interviews with Jon M. Sweeney (about his new biography of Phyllis Tickle) and Dominique DuBois Gilliard, reviews of new books by Marilynne Robinson, NT Wright, Marilyn Chandler McEntyre, Matthew Kaemingk, Niall Ferguson, Rachel Marie Stone’s regular column “Non-Required Reading”, and MORE. Click the cover image above to view a larger version. *** Even Better, SUBSCRIBE NOW in print or digital format!